The entire nation is observing National Drive Electric Week on September 10-18, 2016. 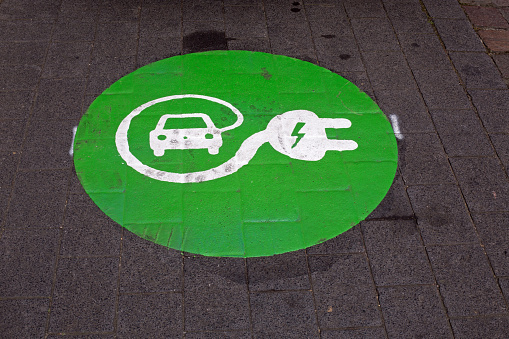 This weeklong celebration, which started in 2011 as National Plug-In Day, aims to heighten awareness of today’s widespread availability and benefits of plug-in vehicles. These kinds of vehicles are best described as environment-friendly, more convenient to fuel than gasoline vehicles, and less expensive. In 2015, Evolve KY, Kentucky’s electric vehicle group, geared up for its first Drive Electric Week, which ran from September 10-17. Its kick-off event was held on September 5-6, with a showcase of cars and test drives. During the week, car parades, ride-and-drives, and “tailpipe-free” tailgate parties were held. This year, Evolve KY is again preparing for its second Drive Electric Week. On September 3 and 4, LOU DEW will kick off at the Flea Market, 1007 E. Jefferson St., from 11 a.m. to 5 p.m. Through this celebration, Evolve KY hopes to promote electric vehicles as a cleaner transportation alternative. In 2013, Kentucky received its first electric vehicles specifically four new Chevy Volts. In 2014, Kentucky had 0.16 PEVs per thousand people. When tested in crash-test dummies, it was revealed that people riding in electric vehicles would survive without permanent and disabling injury. Electric vehicles were found to be twice as likely to be involved in a slow-moving accident with pedestrians. In general, electric vehicles can be classified as hybrid, plug-in, all electric, and converted. Electric vehicles differ from the traditional vehicles in terms of batteries, electric motors, and internal combustion engines. While the benefits of electric cars, such as less dependence on foreign oil and lower cost, are appealing, we cannot deny the fact that they are not without disadvantages. Experts say that electric cars pose serious threats to pedestrian safety. In a 2009 NHTSA study, it was found out that hybrid and electric cars are twice as likely to cause a pedestrian accident. This has been supported by a 2011 study, which revealed that this kind of vehicles caused 35 percent more pedestrian crashes than cars with combustion engines. This safety concern is attributed to the fact that electric vehicles do not emit significant engine noise; thus, making them incredibly quiet and soundless. As a Kentucky Accident Attorney, I urge all motorists that when you drive an electric car or a traditional vehicle, it’s always important to stay focused and keep your eyes on the road. And if you or a loved one has been hurt in a car accident, seek medical assistance immediately and afterwards, speak to a lawyer for legal assistance.